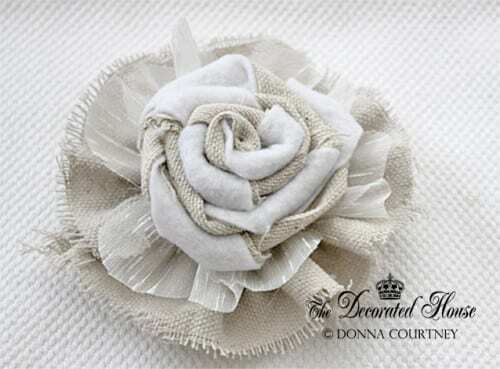 Looking for that fabulous fabric flower to add to your fashion accessories, home decor items or wedding bouquet? Then you have come to the right place! You can make fabric flowers in any color, print or size and the flowers won’t die so they make a great keepsake for a special event. What are you going to do with your paper flowers? Share and leave a comment below. SAVE HOW TO MAKE 20 DIFFERENT FABRIC FLOWERS TO YOUR FAVORITE DIY PINTEREST BOARD! Want even more fabric flower tutorials? Make sure to pick up this totally awesome Fabric Flower Tutorial Book, Bloom. Get 15 patterns that will transform your scrap fabric and embellishments into beautiful flowers. Love them all and a great collection of different flowers! I have pinned this! So glad you shared your creative inspiration with Sunday’s Best – your creativity helped make the party a success! Great collection of flowers! They’re all fantastic! What a great post. All these cute flowers and the tutorials to make them. Thanks for sharing at “I Gotta Try That” Have a wonderful week. Thanks for linking all these up. I look forward to going through all of them when I have the time. Great post. I’ve Pinned It so I can come back later for the instructions when I’m ready to start a project. Visiting from You’re Gonna Love It. Thanks much for this round up! I have a project in the back of my mind that utilizes fabric flowers but I haven’t gotten around to deciding which kind to do. This was a huge help! I’ll link back once I get around to completing it. What a great collection. I crochet flowers but was looking for other ideas and just hit it right here. I just learned to use zippers to make flowers. As you would guess just start rolling in the center and continue out. Now the big plastic zippers really make great ones. I use mine on bags and hats and slippers I crochet. Love for you to stop by my neck of the woods. Awesome roundup! My girls are in need of some new hair clips, these are perfect! I’m so glad I’m following you now, and just pinned this! What a great collection. I’m pinning this to reference it later. Thanks! Those are so many gorgeous flowers! Thank you for linking up so many wonderful projects on my linky parades. Have a great weekend! what a great round up! i love that first one. I love fabric flowers! These are awesome.. but my fav are the first ones with the burlap and of course your projects are adorable! Love your scarf! This is a great collection of flowers! I have been meaning to make some for my nieces, so thank you for sharing! What a great collection! Thanks so much for sharing on busy Monday! What a great roundup! I need to make some dimensional pillow for our living room and this may be the push I need to get on it. Thanks so much for sharing on Tout It Tuesday. Hope to see you tomorrow. This is such a good collection of tutorials! I found 5 that I will plan to make soon! I just pinned! THANK YOU SOOOOO much for posting!! Just found this on Pinterest, through your paper flower tutorial. Just wonderful! Repinned and I’m working my way through them! Have just sat here and done 2 of them already love it Thankyou i think I’ll try some with paper as a project for school too! These are fantastic tutorials and it looks like there’s a flower to be made no matter the type of fabric. Thanks so much for posting and sharking! These are so beautiful I went to a fabric flower class at the Sew Expo in Puyallup last weekend. It was basically a sales pitch for a book. Not one pattern or tip given.. These flowers are awesome and no book needed! great round up – posted it on facebook! THANK YOU, THANK YOU, THANK YOU!!! I love these!!!!!!!!!!!!!!!! Love seeing all these flower craft ideas in one place. I love your flowers. Any idea on how I could make a ‘long stem’ rose out of tulle with some potpourri embedded in the tulle flower? The stem would be floral wire wrapped in green floral tape but I can’t figure out how to twist the tulle so the potpourri stays in. Can you make a teething necklace for a baby out of material flowers! That would be awesome! My five month old teeths on my T-shirts, i think he’d love to chew on moms necklace! What a lovely selection of fabric flowers! I am sure to have a go at making some, the photo’s and tutorials are excellent…. thank you very much for sharing. Woot Woot! Can’t wait to try all of these! I have a couple of go-tos, but some of these are really fin. And all in one place! Holla! THanks for sharing! Love these. Thanks. The poinsettias would be beautiful napkin rings! These care beautiful!! As a lover of flowers, I can’t wait to learn how to make my own. This is really the ultimate fabric flowers tutorials! GREAT! Many thanks for this! NICE COLLECTION OF FABRIC FLOWERS. Amazing DIY creativity I saw so many blog post but I like your post technique Great job Thanks for sharing! Love all of these! Fabric flowers are so much fun to make! Awesome, thanks so much! I’m headed there right now! Nice and easy way to make fabric flowers. Thank you Viren. I am so glad you like this collection of flower tutorials. 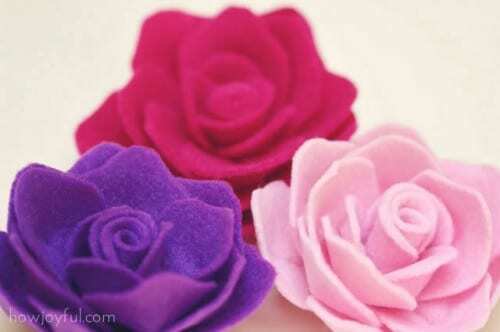 Hey, I can’t get the link to the felt roses to work- it sends me to the ‘another fabric flower’ tutorial instead! It would be great if you could fix the link. I’ve had a great time making the other flowers so far, also! Thanks for letting me know Bee. The link should be fixed now so try again. Your flowers look great! What are you going to do with them? I’m wondering if anyone has made the ‘Summer Flower’ smaller than the directions given at Sew Serendipity? I would like to make one to embellish a little girl’s dress and am afraid this might be too big. Anyone? I have not Terri, sorry. Hopefully someone else can help you. Do you know some one who can manufacture these flowers on order, I really love them! Hi Kalimishetty. Aren’t they cute?! I’m sorry but I don’t know who can manufacture these flowers, so I can’t help you there. Can you sharing the fabric flower design file that making cutting by cricut machine? Hi Charly, I’m sorry but none of these tutorials are for flowers cut with a Cricut. To get to the flower tutorial, click on the titled link underneath the picture. Thanks Ash! 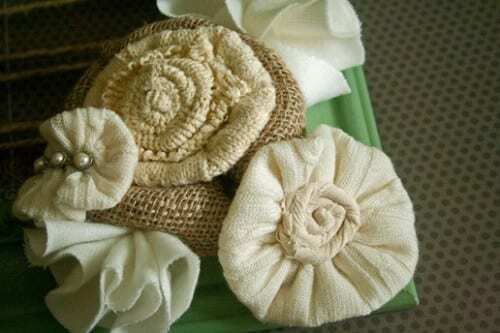 I am glad you like this collection of fabric flower ideas. I love it! I am sure The Fabric Exchange has so many choices of fabric for this kind of project. Oh, a fabric exchange sounds exciting! We don’t have anything like that here! I’m not much into crafts but i think this is the thing i’ll try first, lol. Thanks for sharing. All are lovely. I love your blog.it is so helpful. Wow! What a great article. They are so cute. I will try to make all of them myself.